Couple of things to update you on!!! 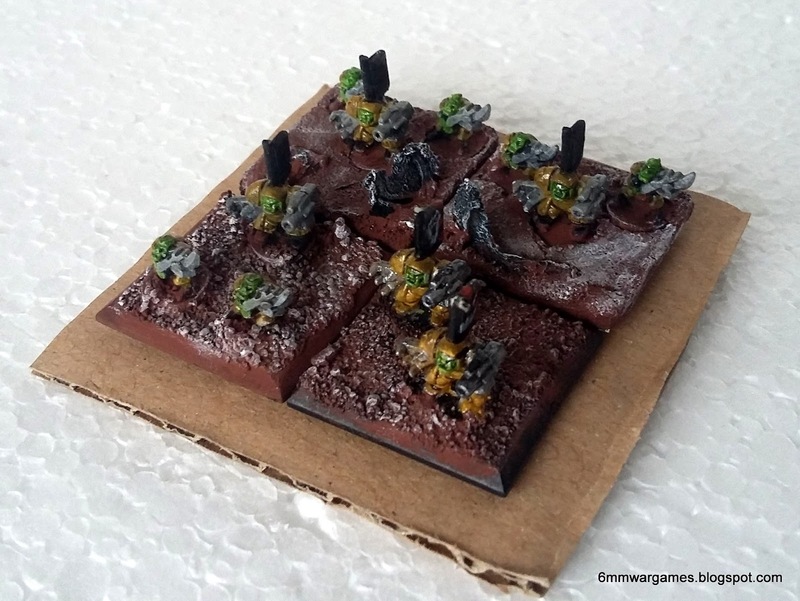 We have free sprues for pledges level 2 and up, these casualty sprues will make excellent suppression counters or simply to decorate your bases to give them that "battlefield" look. We've added Romain Gaschet exceptional work to our online galleries. We also have a painting tutorial for Viridian Marines by Giovanni Bosio which you can find on our site. AND JOIN US ON KICKSTARTER! 23 HOURS TO GO!!!!! Last three hours, get em while there hot!! And thank you to everyone on this forum, you have been a very supportive group, cheers! Yes congrats are in order, I must say this is the first funder i've participated in where the funds kept on going up and down like a yo yo, can't understand why people go to all the trouble of pledging and then just change their minds. Either you want in or you don't, yes. Yeah, it was really weird to me too. I was heading to pledge and refreshed a few times because I thought that a cached version of the page loaded a because the number wasn't right. I was going to go for just the 48 Sterling base(since I couldn't afford level 2) but those unusual viridian and junker casualties along with a couple of other tiny options meant I was about 70 Sterling by the end of everything. Technically over my max hobby budget, but I think it'll be worth it. I actually still have the Void 1.1 game (although I prefer the earlier purple rulebook over the one that came in the box set), and have a few of the Urban War magazines, and small armies for all the factions, so I do have interest in what you are doing. But I have to be honest, I hate the large infantry bases. If they were at least each split into two, I would be ok. Its just a lot of minis on a single stand and taking up a lot of room. I am not even sure if they are compatible with the kind of terrain many of us have and are use to playing with. I know you don't want to copy Epic, but I think I really prefer 5 models on a stand. Even if Epic went to 10 models on a stand I would hate that too. I mean, if I am shelling out, hypothetically, $10 for either 4 bases or 8 of men, I would prefer 8. And I would also have more flexibility in how I positioned them during a game. But as I am already a fan of Void, I am def going to give this a try. The trick is I'm a fan of big bases of inf, sorry, I come from a DBA/DBM background and really like to see tonnes of chaps on bases. Terrain wise all the stuff we sell/support works and we may have our own range in the future too. However the rules work in such as way that it is usually "areas" that determines what happens in a certain terrain type, rather than a specific structure, although this can happen with linear features, so the base size shouldn't be an issue. I am a person who loves re using his miniatures. Paint once play everywhere!